This is the third part in my Rockpool polymer clay collar necklace tutorial. 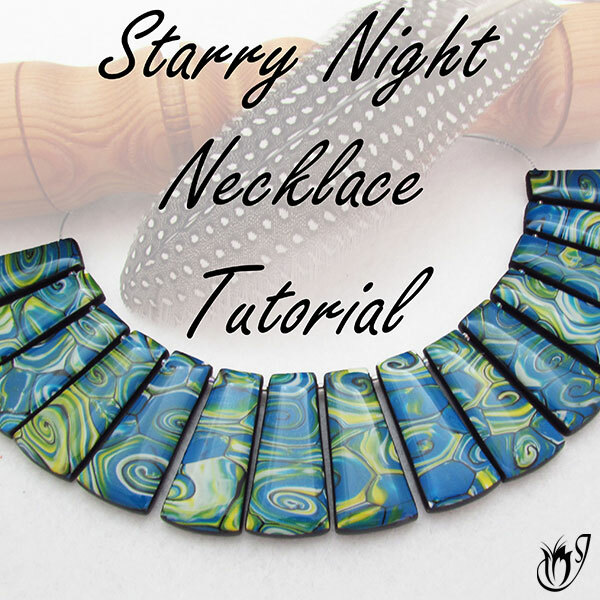 In this part of the tutorial I'll be showing you how to put the veneers from part one and two together to create the collar, including a neat little trick for covering up the seams between the veneers. 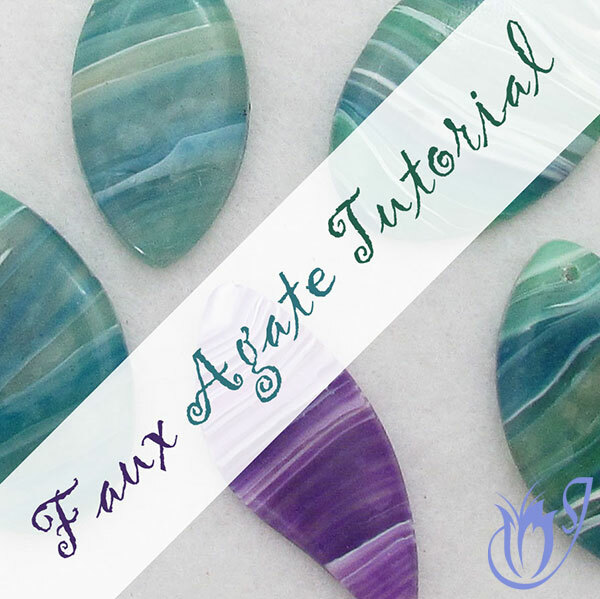 In order to complete this tutorial you will need the silk and bubbles, oyster watercolor and oyster mica shift veneers from parts one and two of the tutorial. 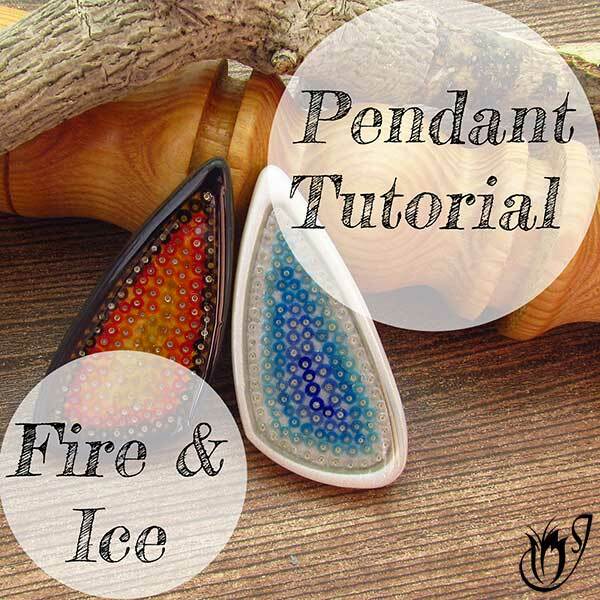 You can find the links to these tutorials in the suggested links box below the video. To start with, you will need the silk and bubbles veneers we made in part one of this tutorial. 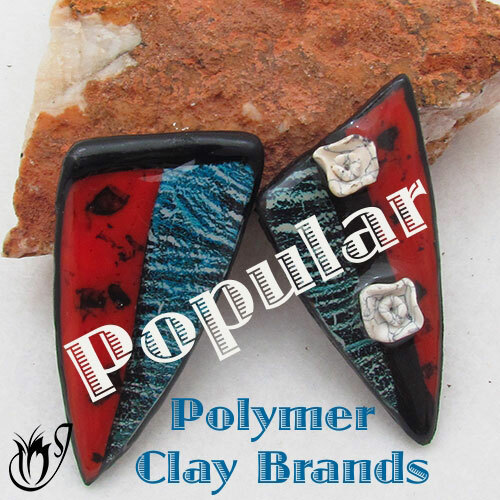 Roll out two sheets of translucent Premo polymer clay on the thinnest setting of your pasta machine and lay one each over your alcohol ink veneers. 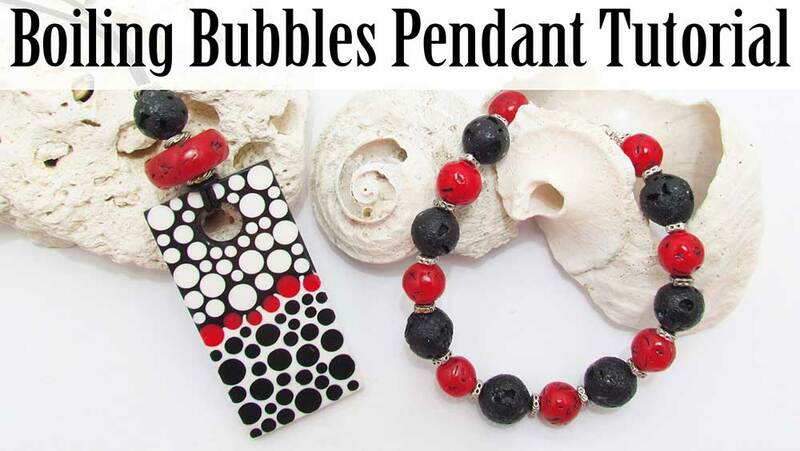 Be sure to smooth away any air bubbles. Trim away the excess translucent. Roll the sheets through the thickest setting on the pasta machine. Bring over the oyster watercolor sheet that we made in part two of the tutorial and make sure that it is also run through on the thickest setting so that all of your veneers are the same thickness. Clean up the edges of your veneers so that the clean edges can be laid alongside each other neatly. Next you'll need your chosen collar cutter or template. 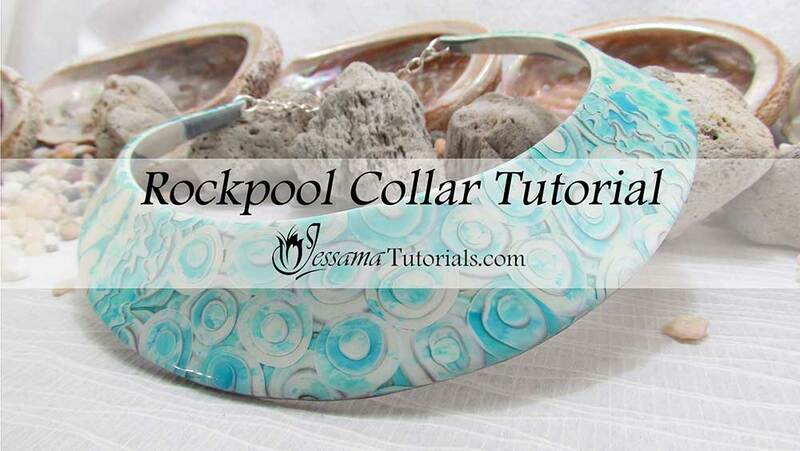 I am using the basic collar cutter from JessamaDesign. Arrange your three veneers in such a way that they will cover the collar shape, lining up the edges neatly. See the video for details. Use your fingertips to smooth the seams. Gently press the cutter down, just enough to create an outline. Bring over your leftover bits and pieces from the oyster watercolor tutorial. Lay them in an overlapping fashion along the seams between your sheets. Press them down with your fingertips. I call this the paintdrip watercolor. I'll be doing a tutorial on this soon, so look out for that. 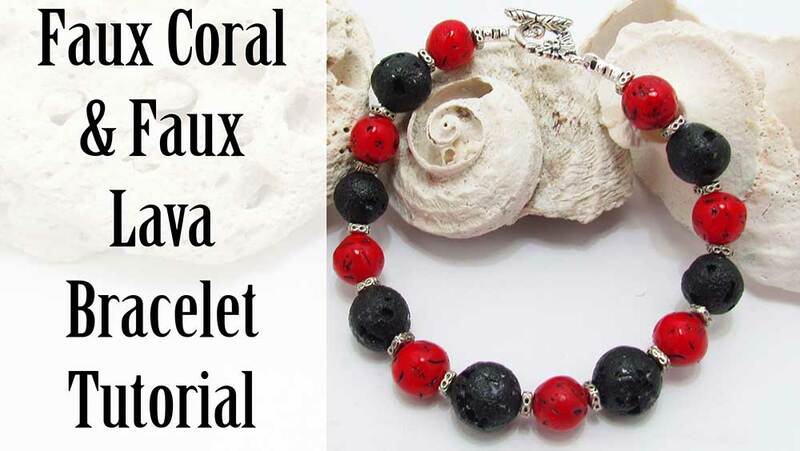 Roll flat with your acrylic rod. Use your fingers to smooth out the collar outline. Bring over your cutter and cut out your piece. 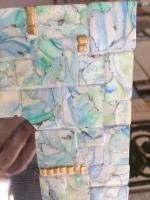 Remove the excess veneer and keep for other projects. Use your tissue blade to loosen the piece from your tile. 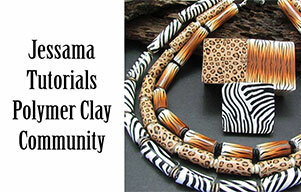 Place the polymer clay collar piece on your stand or bowl symmetrically. 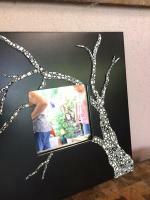 Use your heat gun to set the piece in place. Bring over your oyster mica shift from part two of the tutorial and run through the middle setting on the pasta machine. Place it on the back of your collar and press into place. Use your craft knife to trim the edges. See the video for the technique. Bevel and smooth the edges with your fingertips. See the video for an alternative backing using a Dragonscale mica shift. Resmooth the edges and back and fix any little cracks or imperfections. Return to the oven on the cloths as before for half an hour and after baking reset on the stand using your water spray. Sand your collar starting from the lowest grit all the way through to the highest until you have a nice satin sheen. I start at 400 and go through to 8000. Sand the front, sides and back. I have sealed the collar using a layer of translucent liquid clay. You could also use Renaissance wax, UV resin or other varnish. And that's the Rockpool polymer clay collar necklace using the Silk and Bubbles and Oyster Watercolor Techniques.